People young and old are captivated by Calypso, a five-hundred-pound Green Sea Turtle who lives at the National Aquarium in Baltimore. When the giant turtle was rescued, she weighed only six pounds and lost one of her front paddles due to infection. Because it was felt that she couldn’t be released back to the wild, she came to live at the National Aquarium. This charismatic animal has been delighting visitors ever since as one of the Aquarium’s most popular attractions. While you might think the experience of seeing this astonishing creature and knowing her story motivates visitors to take personal and political action toward Green Sea Turtle conservation or ocean conservation, unfortunately, studies show that it doesn’t. In order to foster a culture of care and conservation, zoos and aquariums have a long history to overcome; after all, they are descendants of early menageries that were held by rulers as a show of power and for personal entertainment. Today, though far more humane in operation, zoos and aquariums continue to exhibit live animals primarily to entertain people. But in a world that faces unprecedented human-created environmental threats and massive species extinctions, these institutions need to do much more for conservation. While urban zoos and aquariums are viewed as positive catalysts and economic engines for cities, these major investments—the organizations and their buildings—could be reimagined for a better future. Over the past several years, I’ve become invested in this issue through my work in collaboration with the National Aquarium in Baltimore, developing a strategic plan that offers recommendations for re-thinking the organization’s future. As someone with an early and enduring affinity for animals of all species, I’ve even spent time thinking about the possibility of zoos and aquariums without live animals at all. In the near term, if zoos and aquariums hope to foster care and conservation, they will need to move beyond their current entertainment business model. They will need to transform themselves into highly effective conservation educators who use their facilities and strategic urban locations to train the next generation of environmental stewards and innovators. Despite branding themselves as themed attractions, almost all zoos and aquariums consider themselves primarily educational. To be sure, information is delivered to visitors, including school groups, through informational placards and signage accompanying the exhibits, staff members and volunteers, and various features on the organizations’ websites. All of these good intentions to educate, however, are not changing conservation behavior in visitors. The lessons may not be sinking in due to inherent contradictions between education and the entertainment approach that zoos and aquariums are compelled to employ in order to be financially sound. Crucial public education issues, such as learning about the severity of climate change or the rampant destruction of habitat resulting from human practices, are watered down when entertainment is the main consideration. Delivering this type of important information is—understandably—not entertaining, especially when visitors must pay (often steep prices) to gain entrance in the first place and are primed to expect entertainment in return for their investment. But what if, instead of trying to inspire conservation action with the edutainment model, zoos and aquariums, especially in urban areas, became true educational institutions: schools offering science career training and technical education programs within their walls. This hybrid offering could be a new way to think about education, another hotly debated national issue, as well as a new way to think about zoos and aquariums. To devise such schools would require curriculum development, entrepreneurial thinking, and financial support as well as strong collaboration across institutional boundaries, but would also bring multiple benefits. 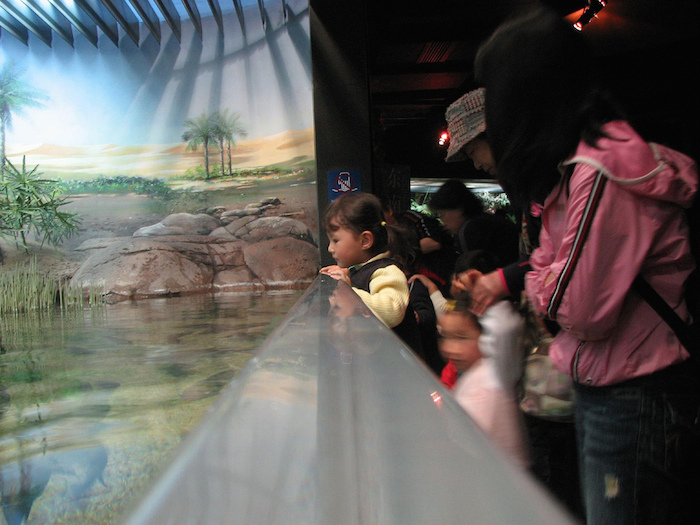 Zoos and aquariums are home to unique animals, expert knowledge, and technical facilities—all of which could undergird a new kind of school with the essential mission to instill in people, beginning at a very young age, a holistic understanding of the relationship between humans and the health of the planet. This education would simultaneously provide them with much-needed skills and knowledge in the fields of science and technology. By bringing the aquarium into the classroom, and the classroom into the aquarium, opportunities for hands-on learning become applicable and possible in all subjects of the curriculum. Innovative school programs could lead to certification in marine science technology, comparative biology, or sustainable agriculture—with jobs to follow. If zoos and aquariums transformed into spaces of learning with active classrooms, learning labs, maker spaces, and hands-on studies of animals and environments, they could foster new sustainable industries, helping to create jobs and drive economies in ways that prioritize the natural environment. This kind of public investment in zoos and aquariums would also be an investment in our youth, helping to create the next generation of capable environmental advocates. Art museums have historically made use of collections as part of teaching curricula and continue to do so today, with precedents such as the School of the Museum of Fine Arts in Boston or the Art Institute of Chicago. And there are many examples of specialized high schools spread throughout the country in various fields from the arts and design, to music and the performing arts, to math and science, to engineering and technology. Nascent experiments of collaboration between high schools and zoos and aquariums are also evidenced in partnerships that exist today. The New York City Harbor School, for example, partners with the New York Aquarium to help students prepare for careers in marine biology, sustainable aquaculture, and veterinary science, to name just a few. Their dive program for high school students takes place right inside the Aquarium’s tanks. Zoos and aquariums can begin to transition to a new model by associating their programs with existing urban high schools and colleges, offering their facilities as sites where young adults work directly with the animal collections and learn skills applicable to advanced studies and jobs in science and conservation, specifically areas of expertise that will prove beneficial to the future health of our planet, for instance, sustainable practices of farming and fishing. The future school + zoo/aquarium hybrid is a conservation learning center housed in a building that functions as an educational tool to demonstrate conservation. By becoming carbon neutral or achieving net positive energy through high-performance architecture, the new conservation school can show the way forward, modeling for others the actions we need to take to conserve our environment: mitigating carbon pollution to reduce the major threat to the health and well-being of all life on Earth. This green building is made of materials that cause no harm to our atmosphere in their production. It is wrapped in a skin that considers not only how humans react to it, but also the other animals encountering its presence. Its windows, for example, are designed to protect the hundreds of millions of birds that die each year from collisions with the glass they cannot see. In addition to its materials, the building and its occupants form a closed-loop ecological system, where nothing is wasted, just like in nature. With the presence of sunlight and the waste produced by animals, there is an opportunity to use renewable sources for energy generation and reduce the consumption of fossil fuels. These radical design improvements to the facility itself can simultaneously reduce overhead costs and improve the overall financial health of the institution. The good news is that these technologies are available today and could be implemented immediately by any willing zoo or aquarium. The current conservation education measures taken by zoos and aquariums are earnest attempts, but they are not profound enough to match the urgency of climate change and the destruction of habitat that threatens the survival of all animals in the wild. And there are also generational changes on the horizon with regard to the preferences of zoo and aquarium visitors. Data show that young people have different attitudes and behaviors than previous generations, including a low tolerance for seeing certain animals in captivity. These changes are so significant, they may even put zoos and aquariums themselves on the endangered species list. Now is the time to rethink the widespread entertainment model and reinvent zoos and aquariums as conservation education centers: places where charismatic animals like Calypso, the rescued three-paddled turtle, will continue to inspire us, but also places where our investments in learning, personal growth, innovation, and ideas will ensure an inspiring ecological future for us all. Smith, L., Broad, S., & Weiler, B. (2008). A closer examination of the impact of zoo visits on visitor behaviour. Journal of Sustainable Tourism, 16(5), 544-562. Brunner, B. (2005). The Ocean at Home: An Illustrated History. New York, NY: Princeton Architectural Press. Grazian, D. (2015). American Zoo: A Sociological Safari. Princeton, NJ: Princeton University Press. Cohen, J. (2013). Zoo futures. Conservation, 14(1). Klem, D. and Saenger, P. (2013). Evaluating the effectiveness of select visual signals to prevent bird-windows collisions. The Wilson Journal of Ornithology, 125(2):406-411. Markwell, K. (2015.) Animals and Tourism: Understanding Diverse Relationships. Tonawanda, NY: Channel View Publications. 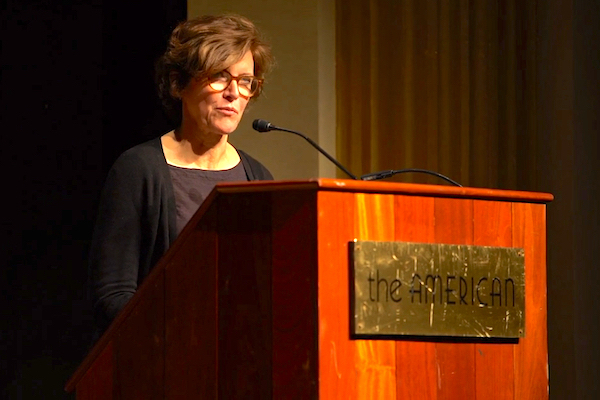 Architect and MacArthur Fellow Jeanne Gang is the founding principal of Studio Gang, an architecture and urbanism practice in Chicago and New York. Internationally recognized for her environmentally sensitive approach, she explores the role of design in revitalizing communities and ecologies. Her Studio’s work for the Center for Ocean Solutions, visualizing data related to the Clarion-Clipperton Fracture Zone, was recently published in Science magazine.